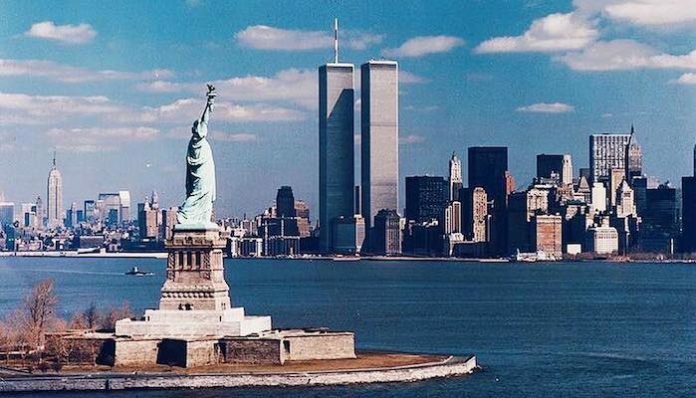 Today marks 17 years since the tragic events of September 11th, 2001. We lost 2,977 lives between New York City, Washington DC, and Shanksville, PA on 9/11. The course of American history was forever altered in just 102 minutes as the towers fell. Each year, we reflect on the lives lost and recount #WhereWeWere that day. The unique thing about 9/11 is that everyone has a story from that day, whether it directly affected them or they watched it unfold on television. It was one of the few moments in American history where time stood still, and we united together as a nation. I was running in Central Park. I looked up to see one of the planes flying low and fast – not knowing it would slam into the World Trade Center a minute later. I was a few blocks away. I thought a truck hit had hit the loading dock as the whole building shook. Went outside and saw people jumping. Watched both towers fall, and spent 8-10 hours walking to get home. Here’s how President Trump paid tribute to September 11 via Twitter. He at least spent the first portion of the day visiting Shanksville, PA to honor the lives of the victims who bravely defended themselves against the terrorists onboard. The exclamation point is insensitive, but this wouldn’t be the first insincere remark Trump has made regarding 9/11. A few hours after the towers fell, he was quick to reclaim having the tallest building in all of Manhattan. However you choose to reflect on this day, do it with kindness, compassion and respect. Living in New York, is a beautiful reminder of the resilience that exists in the midst of unfathomable tragedy. When the narrative often focuses on the terrorism, we forget about the great acts of kindness those trying to escape the towers boldly exhibited. People came together, opened their hearts and homes to those who weren’t able to immediately reconnect with their families. Even in tragedy, human kindness can heal us. On this day, we remember the firefighters, civilians, passengers, police officers and children who lost their lives 17 years ago. Newly restored footage shortly after the collapse of the South Tower of the World Trade Centre on 9/11.